Schedule a personalized web-based meeting with one of our Franchise Development Managers to learn more. To schedule a meeting, submit your information here or call 1 (800) 813-7677. Prior to your meeting, the Franchise Development Manager will provide you with the Franchise Disclosure Document (FDD). 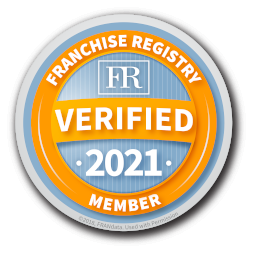 Once you acknowledge receipt of the FDD, the Franchise Development Manager will present the key aspects of the franchise program and answer any questions you have. This meeting usually lasts about an hour. Contact a Franchise Development Manager to schedule a one-on-one meeting.